Terrible service, clueless waitresses, bad management. We had to cancel our order because we waited for a good one hour and found out that our food was not even prepared yet. Not recommended. 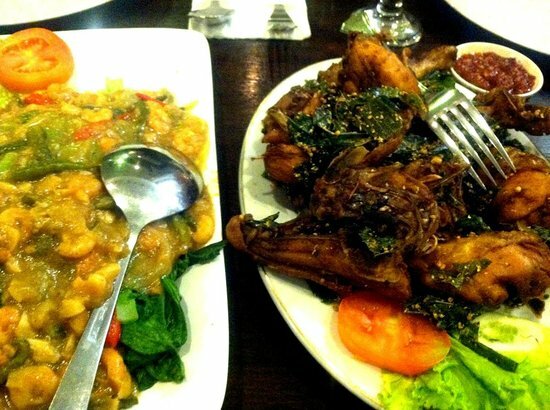 its one of the restaurant that offer delicious indonesian food at the center of Jakarta. the food are quite delicious, the prices are ok. what this resto need to fix is the service. its too slow and the dishes dont served at same time. The food in this restaurant was the best Indonesian food I have ever had. The sambal, the ayam goreng something, the meat, the spices in it... And the beauty of it, the prices are reasonable! Simply the best Indonesian food ever!!! Get quick answers from Rempah-Rempah Restaurant staff and past visitors.